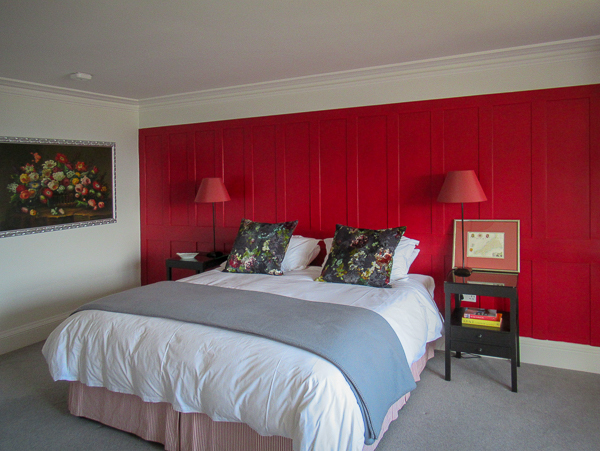 The red bedroom is a super king size room situated at the front of the house directly above the snooker room, you can enjoy simply beautiful views of the harbour from its gorgeous bay window. It also has a luxurious ensuite walk-in shower room. 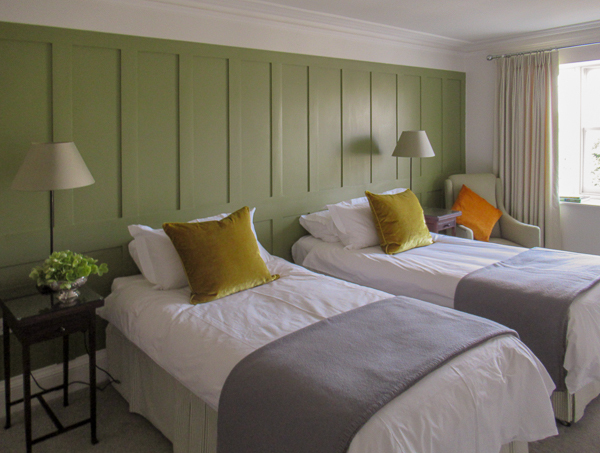 The green bedroom is a super king size room on the side of the property, in which the bed can be split to create a set of single beds if required. Possessing more beautiful scenic views from the window, the green bedroom also has an elegant ensuite bathroom with Victorian style roll top bath and shower attachment. The grey bedroom is a super king size room at the back of the house positioned above the family room in a D shape. It is a very light and airy room benefiting from three large windows. 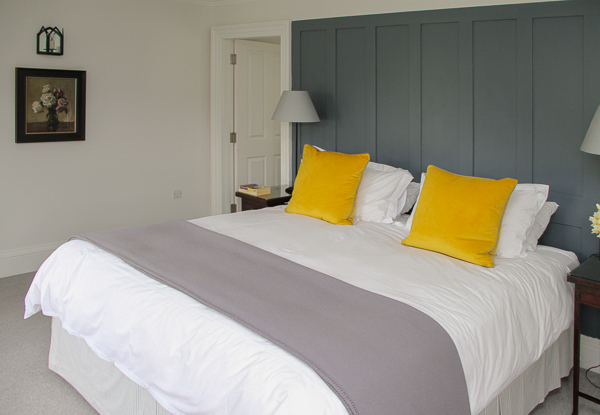 The grey bedroom also possesses a charming ensuite bathroom with Victorian style roll top bath and shower attachment. The blue bedroom is the second largest of the Polpier rooms, it is a super king size located at the back of the house with many windows overlooking the sea, attractive gardens and terrace. Along with a large and stylish sleeping area, the blue bedroom also boasts an ensuite bathroom with Victorian style roll top bath and walk-in shower. 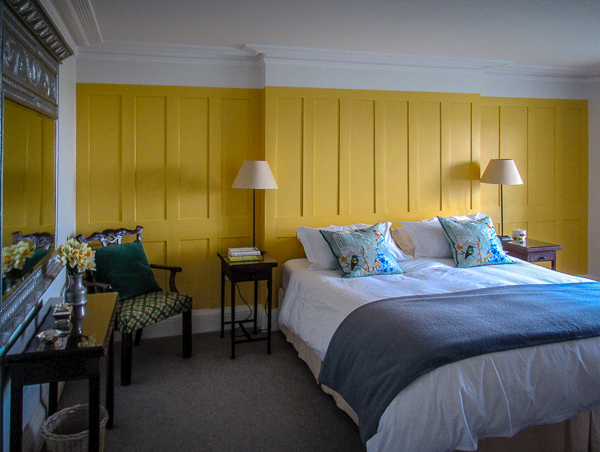 The yellow bedroom is a super king size room situated at the front of the house, above the drawing room. It has great views of the harbour and an exquisite ensuite bathroom with Victorian style roll top bath and shower attachment. The aqua suite comprises of two bedrooms, a large super king size room and a smaller second super king size room/dressing room. The bed in the second bedroom can be split into a set of single beds if required. 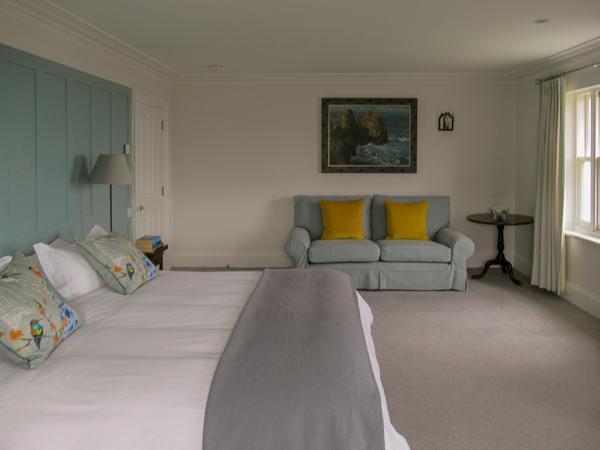 The aqua suite has many windows with spectacular views of the terrace, garden, hillside and harbour. There is a large opulent ensuite featuring a Victorian style roll top bath plus a separate walk-in shower. Providing you a unique and exclusive location. Offers idyllic privacy for one lucky couple. Polpier is the perfect place for your reception. 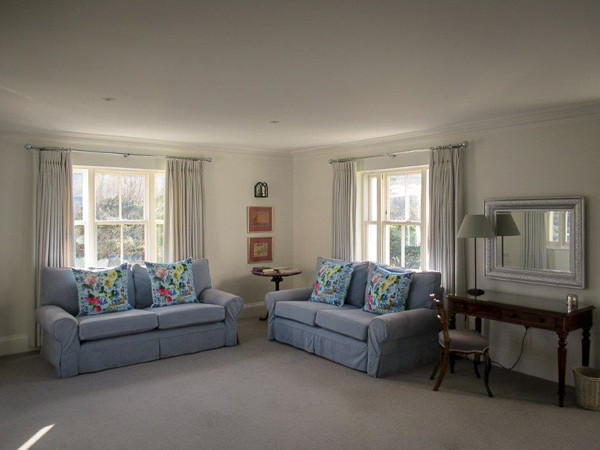 The peaceful drawing room provides space for reading. The things you need available at your doorstep. Breath taking harbour views can be enjoyed from the garden. Keeping you supplied with the best. We are tremendously proud of the gardens at Polpier.